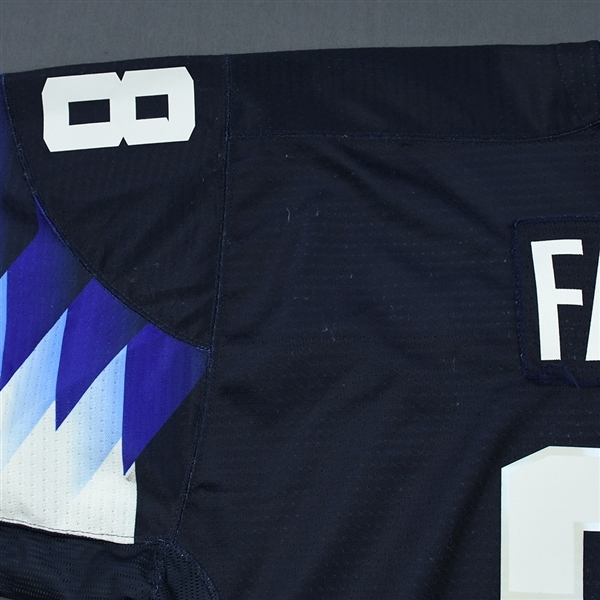 This auction is for the actual blue jersey used by #28 Joel Farabee. Farabee played in all 7 games. He had 3 goals and 2 assists in the tournament. 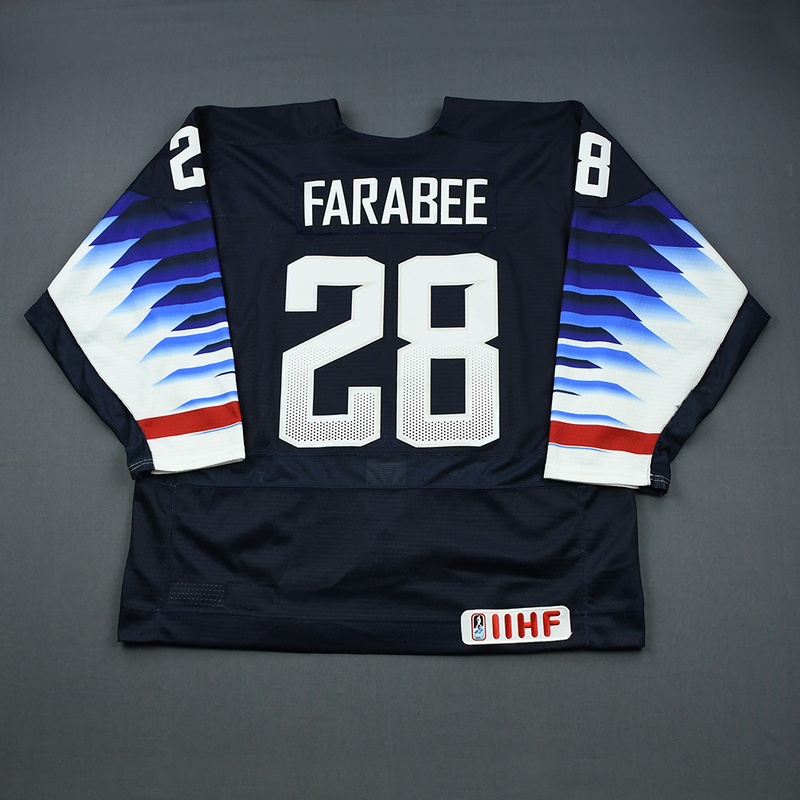 Farabee currently plays for Boston University. 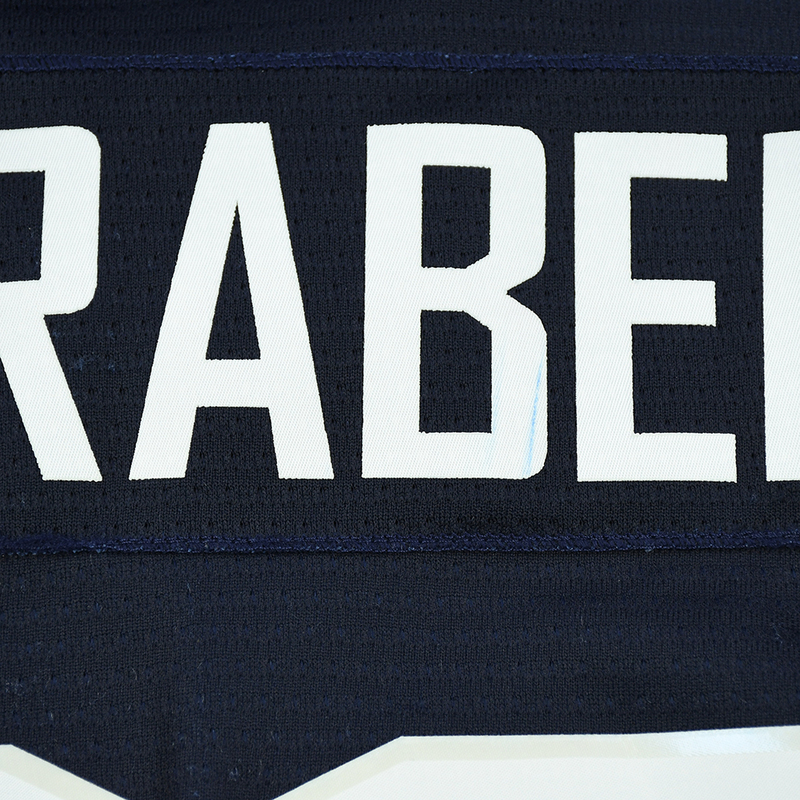 He was drafted by the Philadelphia Flyers in the first round of the 2018 NHL Entry Draft. 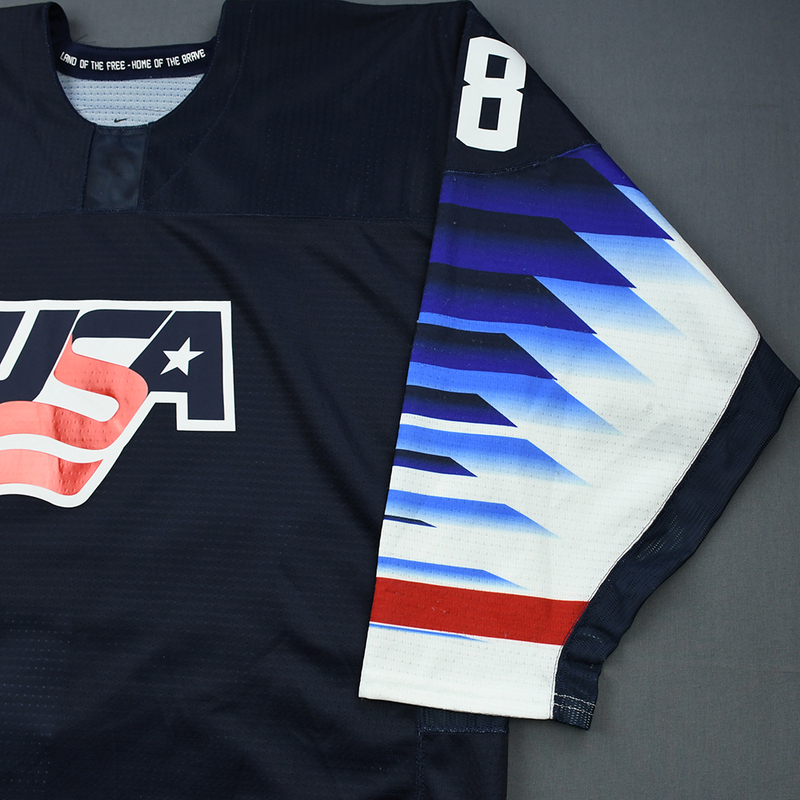 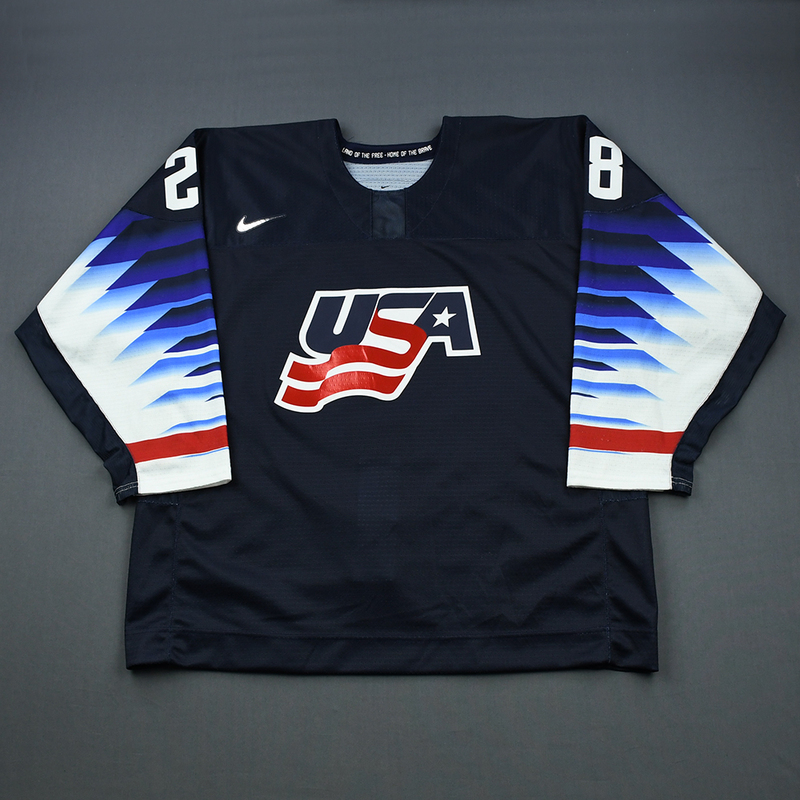 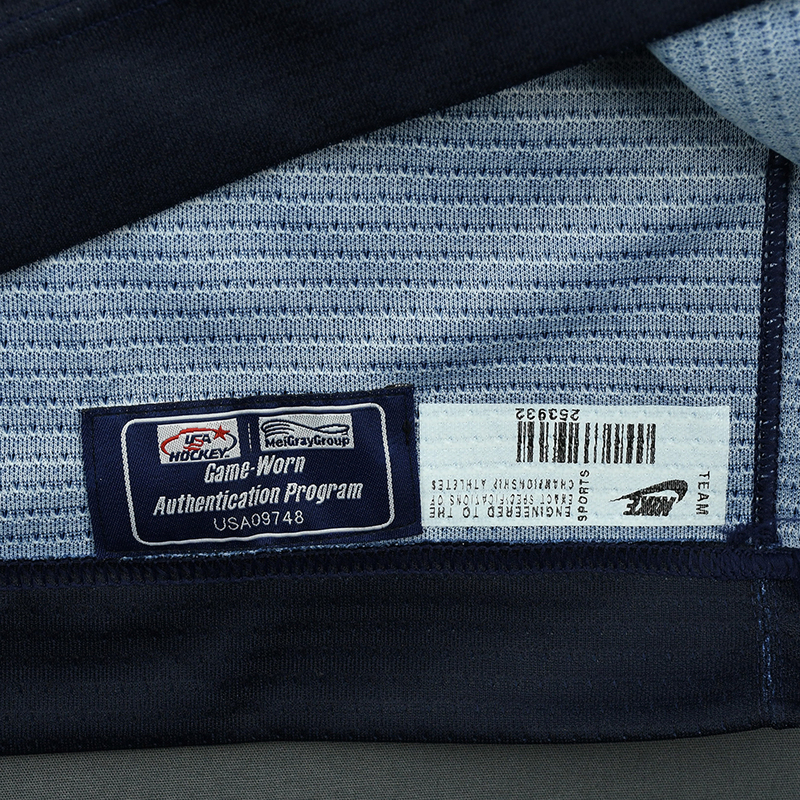 This jersey, a 56, has been registered in the USA Hockey-MeiGray Game-Worn Authentication Program as number USA09748.